A delegation of the European Union and United States Ambassadors have said the neutrality of the security agencies during the 2019 general elections will be the major determinant of the credibility of the polls. The delegation further warned that they are not naive to recognise political pressures on the Independent National Electoral Commission (INEC) from time to time, from actors from different areas. Speaking when they met with the leadership of INEC in Abuja, yesterday, Charge D’Affairs, US Embassy, David Young, cautioned against the executive arm of government’s interference in the affairs of judges and the judiciary. He said: “The US is committed to providing support to INEC for Nigeria’s general elections. We are looking forward to working together in providing more support. I want to, especially, address the concerns we have and that is the neutrality of the security services. “It is very important the security services provide security for the elections.This is something we feel very strongly about. The neutrality of the security services is one of the very important issues for the credibility of the elections. I also want to say we appreciate, very much, the important role the judiciary plays in Nigeria. “As regards the police, we know that a new Inspector General of Police has just been appointed, and the US Embassy looks forward to working closely with him. We are looking forward to working with Nigeria as friends and partners,” he noted. Similarly, the EU Ambassador, Karlsen Ketil, said: “We seize opportunity of this visit to ask to be briefed on the level of preparation. Our chief mission here, today, is for Nigeria to succeed in having free, fair, credible, transparent and peaceful election,” he said. 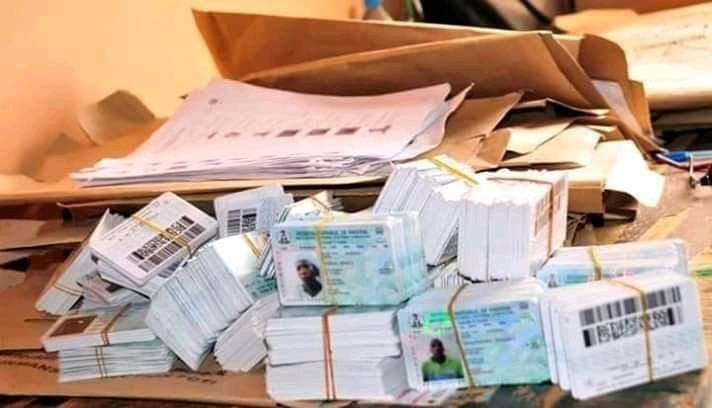 Responding, INEC chairman, Mahmood Yakubu, said the commission has taken delivery of heavy items like the ballot boxes, voting cubicles, promising the international community and Nigerians its commitment to credible elections.